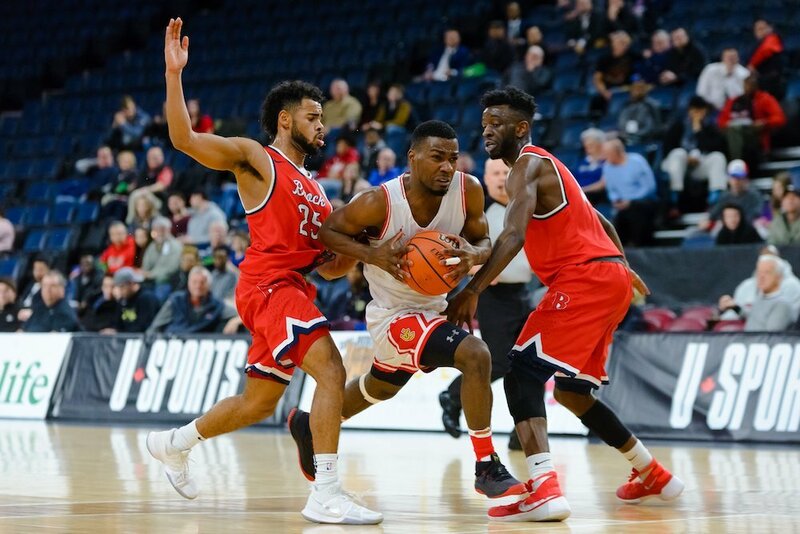 The second quarter-final of the U SPORTS Men’s Basketball Championship was a real barn-burner with the Calgary Dinos holding on for a 78-76 win over the Brock Badgers. The second-ranked Dinos led 38-29 at halftime, only to see the seventh-seeded Badgers battle back to tie the score and take a 62-60 lead with six-and-a-half minutes left to play. The score jockeyed back and forth the rest of the way, with Calgary making a two-point basket with 45 seconds on the clock to account for their final margin of victory. Mambi Diawara led Calgary with 19 points and seven rebounds, while player of the game David Kapinga added 18 points, five rebounds, six assists and four steals. 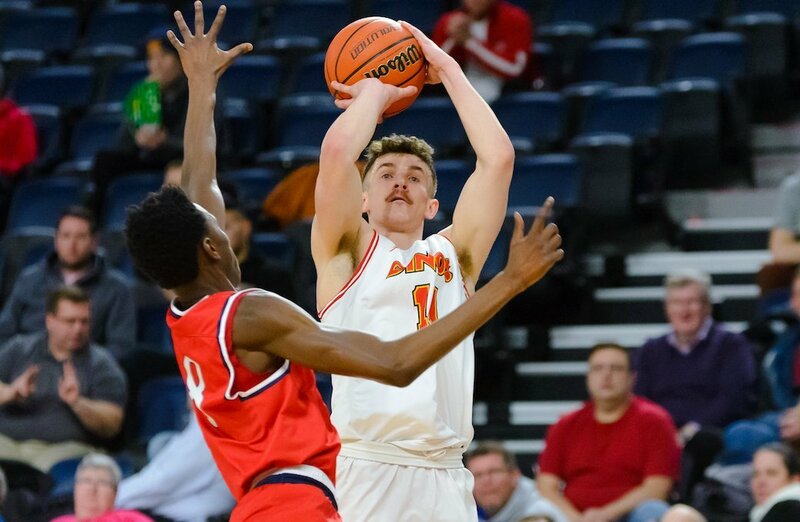 Lucas Mannes had five threes amongst his 16 points, and Lars Schlueter also contributed a key three-pointer down the stretch. 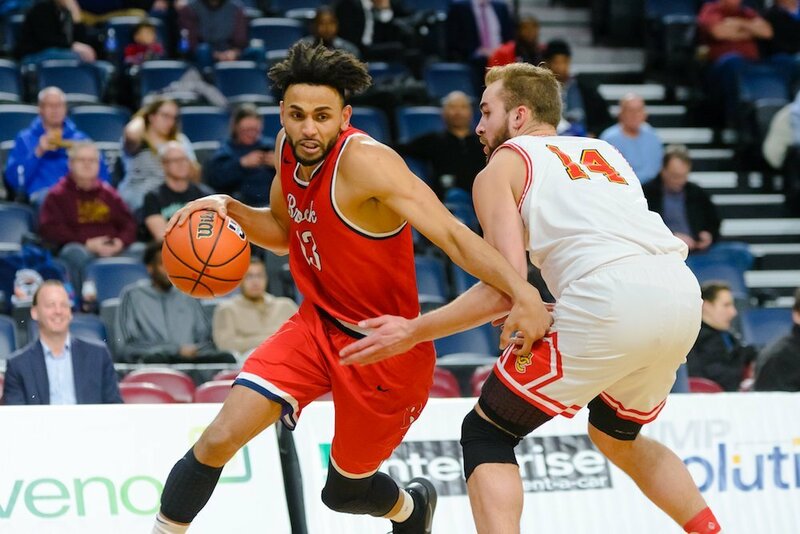 Johneil Simpson led all scorers with 24 points for Brock, while Dani Elgadi added 20 points, and point guard Tyler Brown chipped in 12. Dinos coach Dan Vanhooren termed the game, and especially the second half, too close to call. “Each team took 64 shots, we had two more free throws, one more offensive rebound, and were plus-one on turnovers,” said Vanhooren. “It was an equal game that could have gone either way. Brock coach Charles Kissi was disappointed with the gut-wrenching defeat, after a shot to tie at the buzzer fell short. The Badgers he added, “worked really hard all year,” after finishing with a 21-3 conference record and a 29-7 overall mark entering the championship. 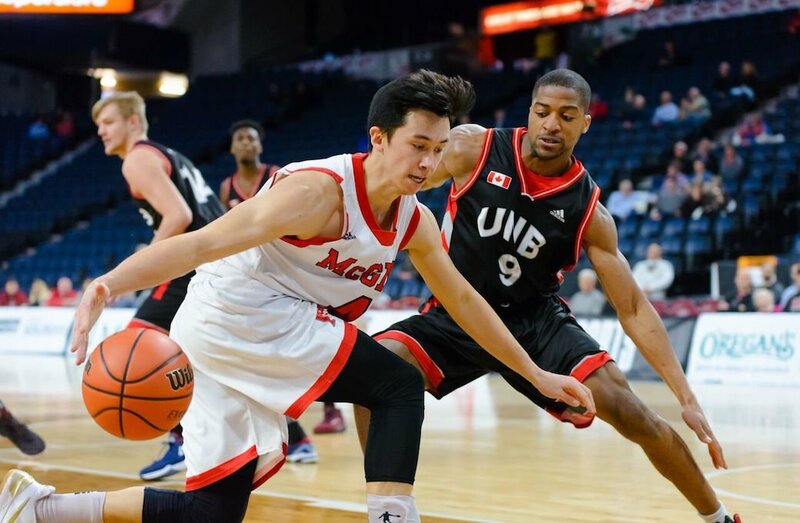 Calgary moves on to a semifinal meeting with McGill on Saturday at 1 p.m. ET/ 10 a.m. PT, while Brock will face UNB in the consolation semifinal at 10 a.m. ET / 7 a.m. PT.